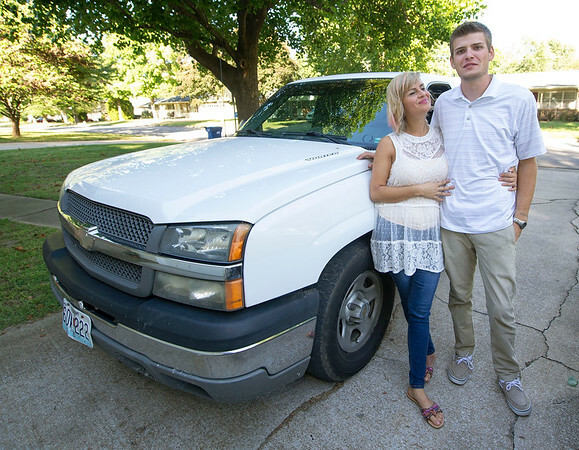 Jonathan Overman and his fiancee Fina Eaton, stand beside Fina's truck at their South Joplin home on Thursday. The couple, who met in drug court, say getting in trouble was the best thing that has happened to them. Fina is now licensed to drive.